Renewable energy infrastructure is expanding at a much faster rate than was thought possible ten years ago. 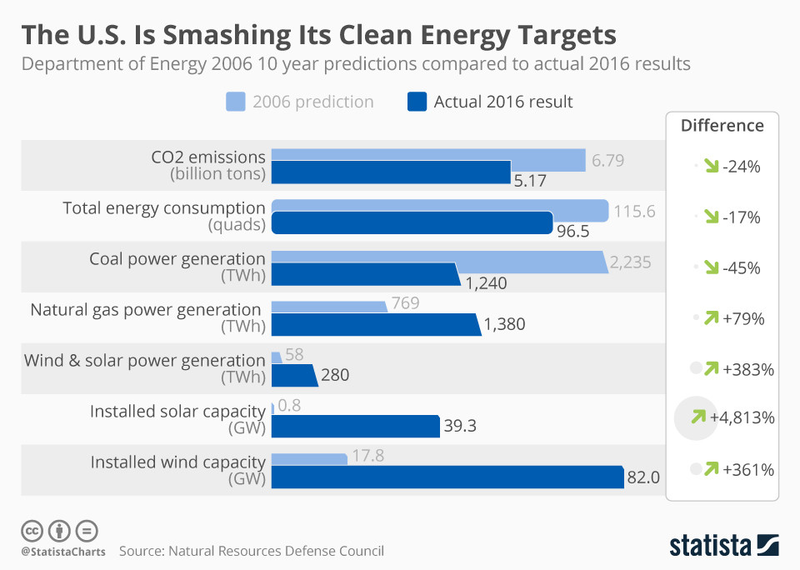 Predictions made in 2006 for installed solar was a massive 4,813% shy of reality in 2016. The U.S now installed wind capacity of 82 gigawatts — 361% greater than expected.